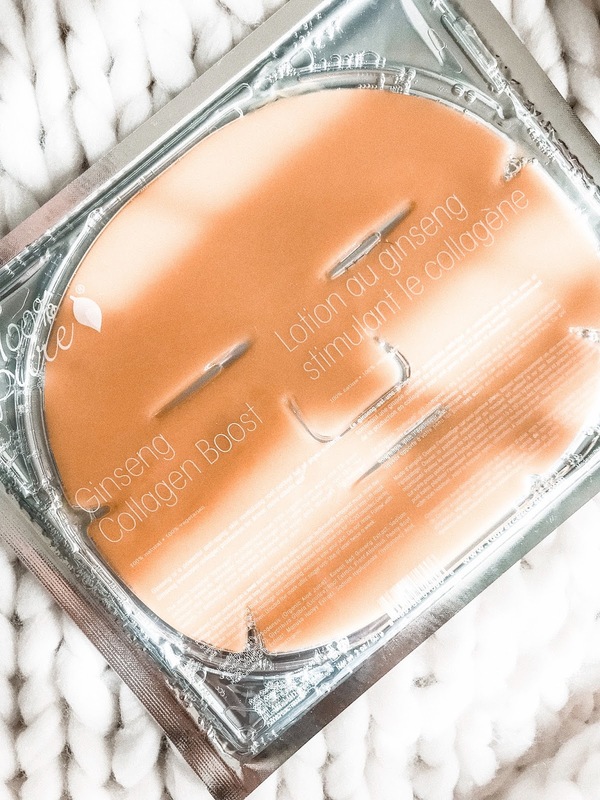 A blog and The Life In Between : New beauty hack: Collagen? Is the new hype worth a try? I remember the first time I started seeing and hearing about "collagen" for the first time was when everybody on Instagram was posting about adding it to their smoothies and shakes. The word itself was going viral and for the first time I felt highly influenced by social media. Long story short here I am four months later stocked up on all things collagen myself. Does it actually work? Maybe. Do I look 5 years younger? Absolutely not, but it does keeps my skin moisturized, looking healthy, gives it a natural glow and I am not getting more wrinkles (so far) and the ones I already have stopped getting that "deeper" look - so yes, I'll continue with my collagen routine as I do see some results and today I'm sharing my must-haves with you! P.s. Secret for not getting any wrinkles still remains the same -- either sleeping on your back or constantly switching sides you sleep on that way your face doesn't get smushed into a pillow and create wrinkles overtime. Vital proteins. I'm sure you've either seen these before on someone's IG feed or at least heard of them from someone you know. I started seeing them myself on other fellow bloggers' feed a few months back thinking all the posts were sponsored, shortly to find out from one of my besties that it was not sponsored and she was sent the product to try by the Brand shortly to find out that it truly does work so here I am today telling you the same thing lol. 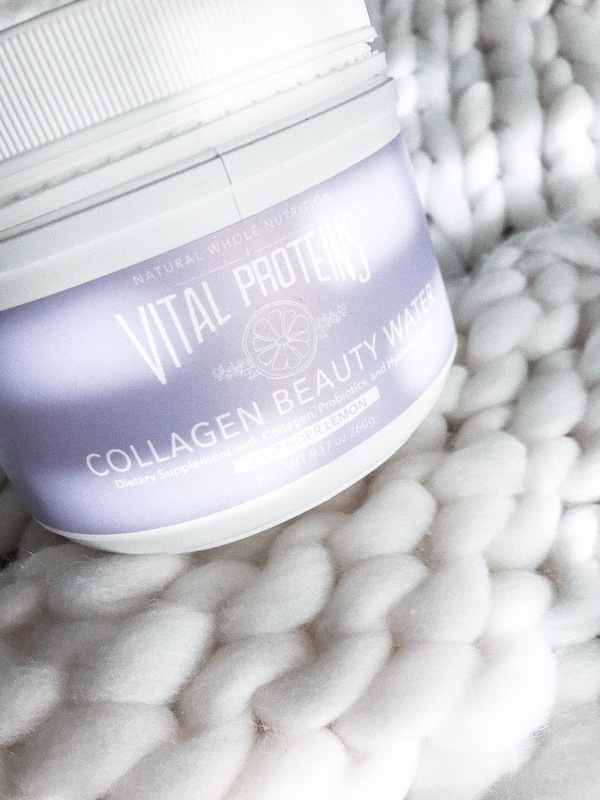 Now let me remind you a few months back is when I heard of "collagen" for the first time so I was as curious as I could be to give it a try myself so shortly I emailed the Brand myself to give it a try on my own. I chatted back and forth trying to figure out which one of their products would work for me as I was trying to be vegan, but then shortly switched to pescetarian. If you're also on some sort of a diet I highly suggest you reach out to them prior to getting a product. How I use it. I try to remember to add two scoops into my gigantic water bottle every morning. I've been repeating this for just over 2/3 months now. If you are not a fan of drinking "flavored" water try adding a few scoops into your smoothie. Fave flavor. Lavender, it's not too overpowering of a taste and is refreshing especially if you add it to cold water. 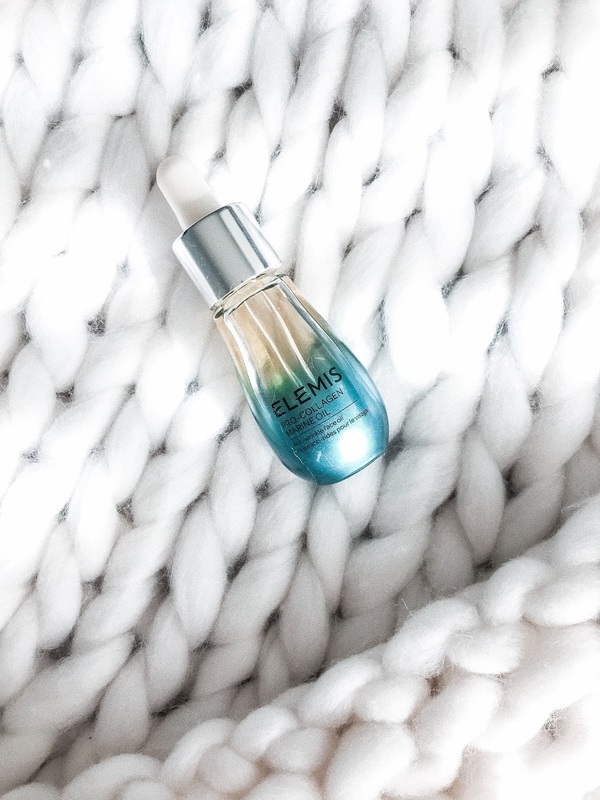 Elemis Pro-Collagen Marine Oil. I can't even count the times of me sharing this over and over on Instagram stories. I've tried quite a few oils but never really found the one that balanced the moisture and "oily" look if that makes sense. My skin was either too oily or would just not be moisturized after the oil soaked into it. After trying tons of products I've settled on this one. How I use it. 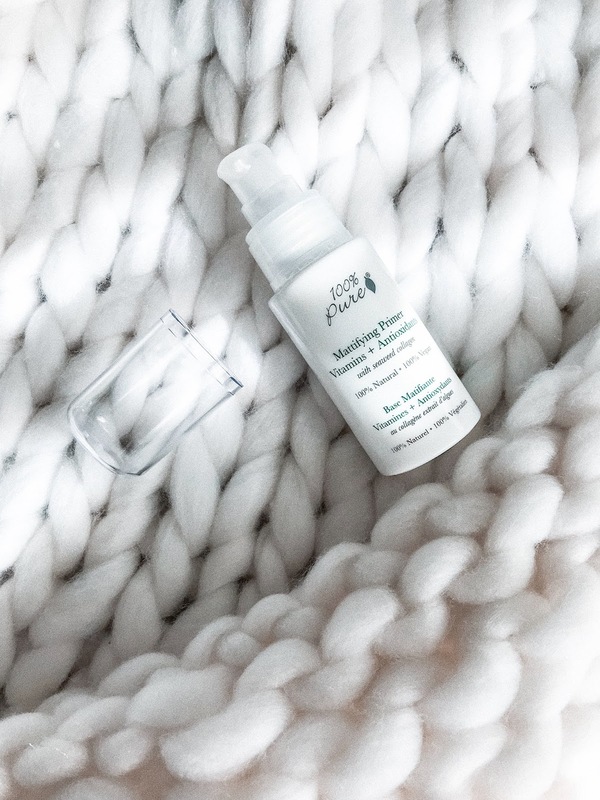 When at home I apply it once a day, a few hours before going to sleep that way my skin soaks it in before I apply all the nighttime products on. If I am traveling somewhere warm and sunny I apply it in the morning and do not add any foundation/makeup on top of it letting my skin soak it in and create a natural, glow look for the daytime. P.s. don't judge the size of this oil as you can see I'm half way done and I've been using it religiously every day (sometimes even twice a day/morning and evening) for the past 3 months. If I had to guess this little bottle could last up to 6 months easily! It's also great for traveling & it goes everyyyyywhere with me). 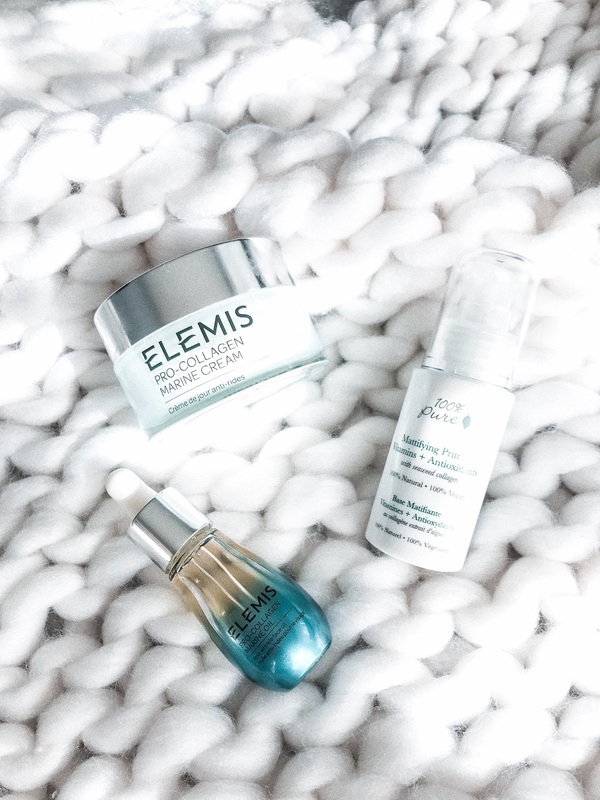 Elemis Pro-Collagen Marine Cream. This specific cream is from the same family as the Marine oil I talked about above. I use it every morning at least 30 minutes before applying makeup giving it enough time to dry and absorb into my skin. It's super light on the skin and is very refreshing. Because I already have two products by the same Brand they really do have my trust when it comes to beauty products as I already know what to expect when I want to try something else they come out with! If you have not yet tried their products I highly recommend you do! ***It's also an anti-wrinkle day cream. If you're looking to replace or try a new anti-wrinkle cream give this one a try as it also has collagen in it so you get two of best world's in one purchase! P.s. if you're also looking for Pro-Collagen eye patches Elemis has great ones too, I'd share an image on here of what they look like but I ran out of them when I went to Canada a few weeks ago. They're super hydrating after a late night, long flight or a drastic weather change. I'll link them at the bottom of the post in case you want to give it a try! 100% Pure Collagen Boost Mask. This is the newest item I've added to my "face masks" drawer which Adam always makes fun of. In the beginning he was making fun of me when I was being sent tons of face masks and I was trying out every single one of them. Every time I came to bed to watch TV I would either have a black, white or in this case "yellowish" face. Fast forward to nowadays he uses my masks as often as me lol his favorite ones being the "peel-off" ones -- yes, he literally demands either those or none. I've only used this one 3 times so far but it did leave my face feeling moisturized and refreshed. However, I do recommend putting it on when watching TV or simply relaxing as my face is smaller and the mask was sliding off a bit. I've also heard of others cutting the corners of the skin mask if it's a bit too large on the face and applying it to the neck -- I might try it next time and share my experience on Insta stories, so stay tuned! 100% Pure Mattifying Primer. This one is another newer product I am trying out instead of my other primer. Because I use lots of oils on my face throughout the day I do try to balance it out and still have a matte look for the times I do want to apply makeup. This primer consists of a seaweed collagen which I have nor heard much about so I very much am excited to keep trying it out! It not only is a collagen primer but also plumps up skin for a younger look. Looking for collagen based products? You can literally visit any one of your fave go-to Brands websites and in the search bar type in "collagen" it will narrow it down quickly so you don't have to keep searching through the entire website. I'm going backwards through the Brands I love and check what items they're adding on monthly bases as they've already got my trust!